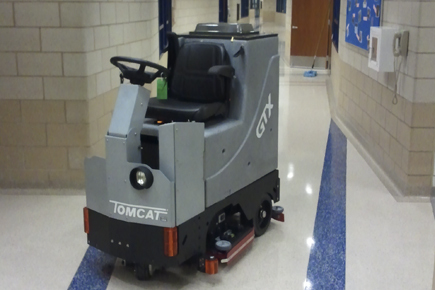 A Tomcat EDGE® Floor Stripping Machine on a Ride-on Machine? Yep! 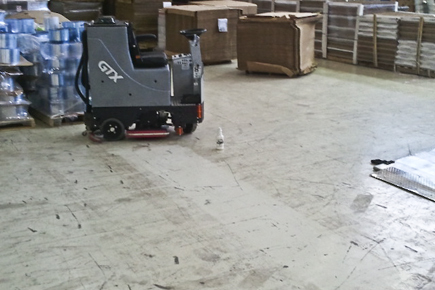 If you got a lot of floor refinishing to do, this machine is the one to do it with. 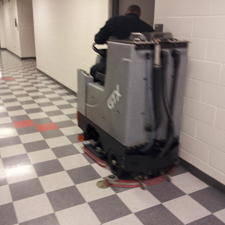 This rider machine allows the operator to be fully at ease while it does all the stripping, scrubbing, and cleaning up. 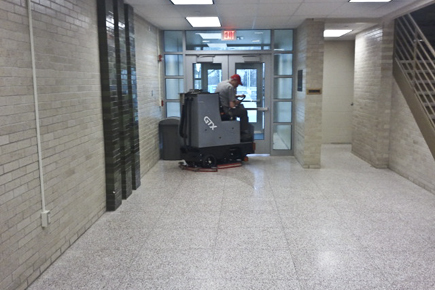 With the ability to run for up to 7 hours, this machine makes large area resurfacing, such as gyms or large corridors, a breeze. 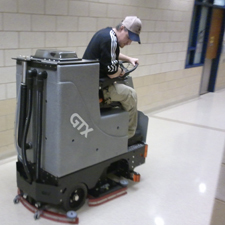 Tomcat's GTX Oscillating Floor Machines are tough, compact scrubbers that offer the great productivity of Rider machines but with better maneuverability than Walk Behinds. 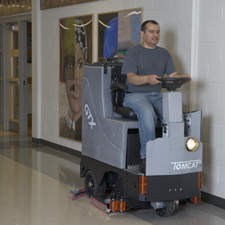 The Tomcat GTX Rider machines have a powerful drive motor that can climb steep ramps and comes standard with heavy duty tires. Features of the drive system include: automatic parking brake and reducing of transport speed while scrubbing or reversing to maintain life of the squeegees.